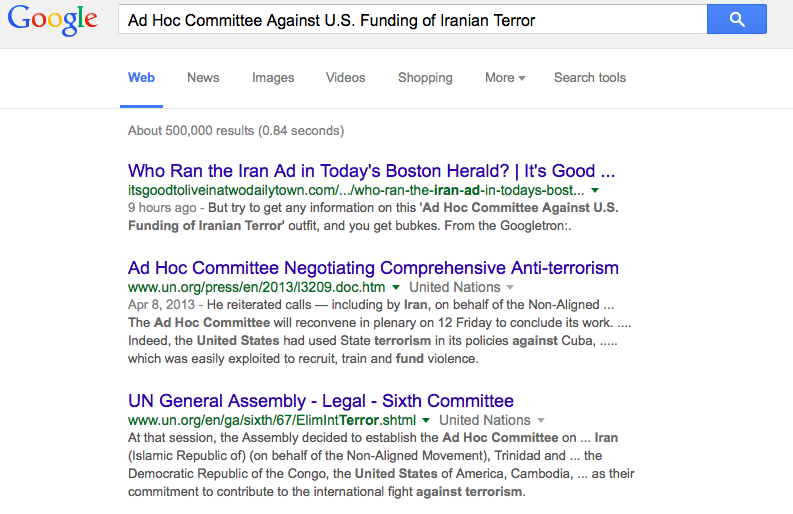 Anti-Iran Group Dodges Two Daily Town Investigation! Well, that might be a bit overstated. Not to get technical about it. Yesterday the hardreading staff noted this full-page ad in the Boston Herald. 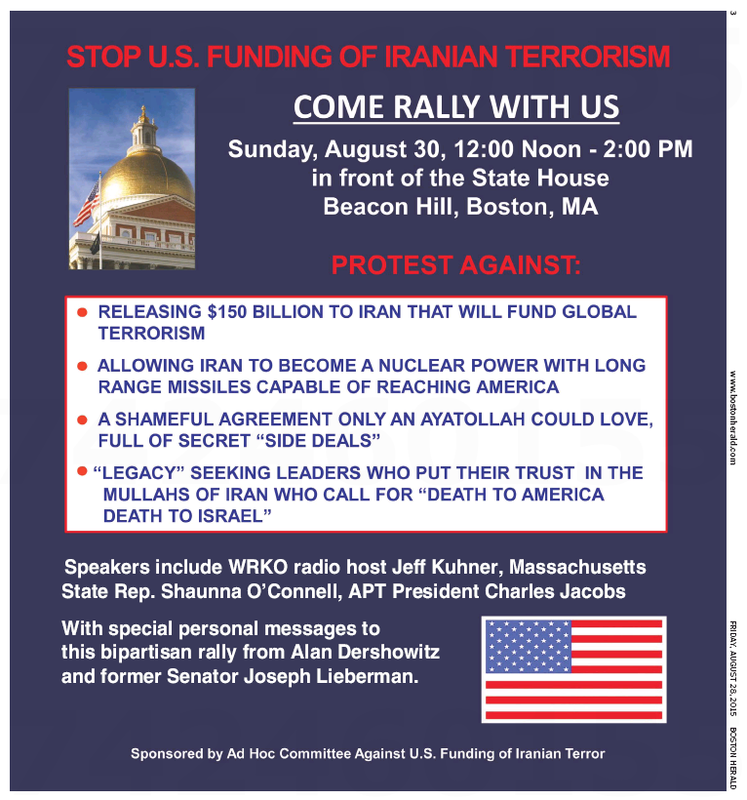 We, of course, were curious about the players in this anti-Iran-deal groundswell, so we emailed Jeff Kuhner, placed a call to Rep. O’Connell, and reached out to Charles Jacob on APT’s Facebook page. What did we get back? To be fair, it was Friday afternoon before the penultimate summer weekend, but hey – everyone’s wired 24/7, right? Yes! We’re Number One, We’re Top of the Pops! This entry was posted on Saturday, August 29th, 2015 at 12:41 pm and is filed under Uncategorized. You can follow any responses to this entry through the RSS 2.0 feed. You can leave a response, or trackback from your own site.